In 10 years of working freelance as a music critic, I’ve reviewed hundreds of albums. Some great, Some good, Some terrible. It’s very rare though that you come across something genuinely unique and different. Something extraordinary that makes you sit up and take notice. ‘Zeal And Ardour’ have just completely smashed my expectations of what a metal record can be. This is musically innovative, hypnotic and infectious. ‘Devil is Fine’ is an album that has wormed it’s way under my skin and refuses to leave. I first encountered it back in summer, but with it’s global release today, what better time to review it? ‘Devil is Fine’ takes Gospal music, Electronica and Black Metal, and creates an extraordinary hybrid. 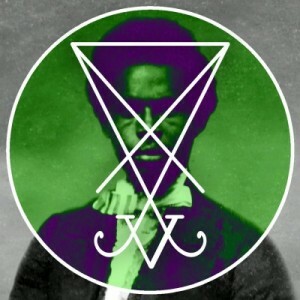 Of Black spirituals and black metal. It’s a hypnotic record with some fascinating sonic textures. The distinctive vocals (At first rumored to have been sourced from the Alan Lomax Archives) were in fact masterminded by the solo progenitor of the project, Manuel Gagneux, using a loud and clipping sound level to get a Lo-Fi retro quality to the recordings. Everything gets thrown into the melting pot here. Trap beats, heavy riffs, tremelo fingerwork, Double bass, noise distortion, atmospheric synths. There’s ALOT packed into 24 minutes, and yes, it verges on sensory overload, and for all of it’s possible sins, it’s all for the best. As far as I’m concerned, had it been more widely available, ‘Devil is Fine’ would have topped almost every music critics ‘Best of 2016′ list. it’s not commercially available. This WILL top peoples ‘Best of 2017′ lists. The bar has been set, and I don’t see anyone topping it in the next 10 months. The album is now available worldwide as of today, and you can grab it from their bandcamp.